The brand-new F-mark+ is the big brother of the popular F-Mark Desktop kiss-cutter/die-cutter. 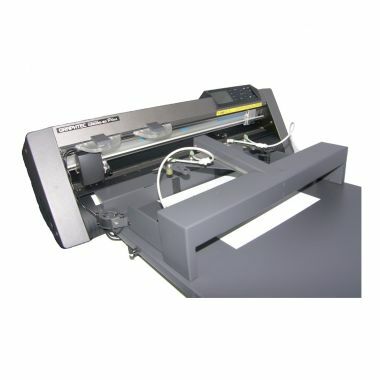 In addition to accommodating a larger sheet size of 520mm x 700mm, the F-Mark+ adds a clever dual cutting/creasing tool option for professional cutting/creasing in a single pass. Produce items such as bottle labels, wedding labels, door hangers, party masks, presentation boxes, even A4 pocket die-cut folders, all on-demand without dies for runs as low as a single sheet. In partnership with Ashgrove’s own range of specialist medias for digital presses, these brilliant pieces of equipment can produce unique, added value, short-run printed/personalised goods for special events e.g. weddings, custom short-run packaging, retail and hospitality, etc. Because these machines are affordable and work without dies, there are no prohibitive costs so every creative idea can become an economically viable reality for the end client. If you can design it you can create it! Stack up to 120 sheets into the auto suction feeder, load your contour cut file into the custom-built software, and let the F-mark run. 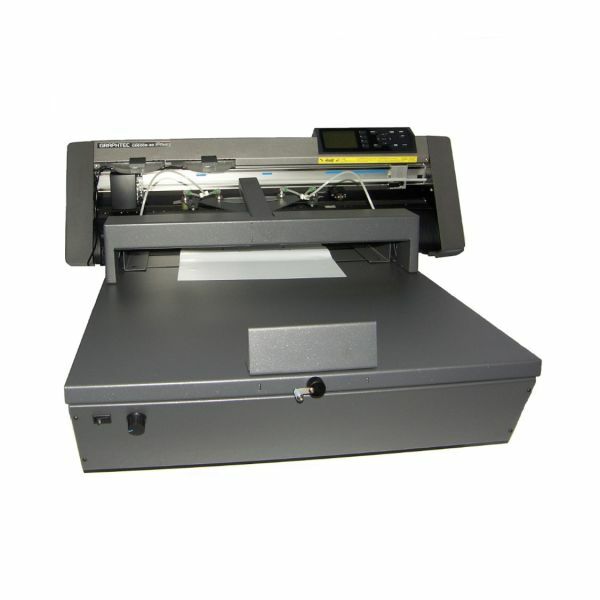 You can load more sheets on the run too. 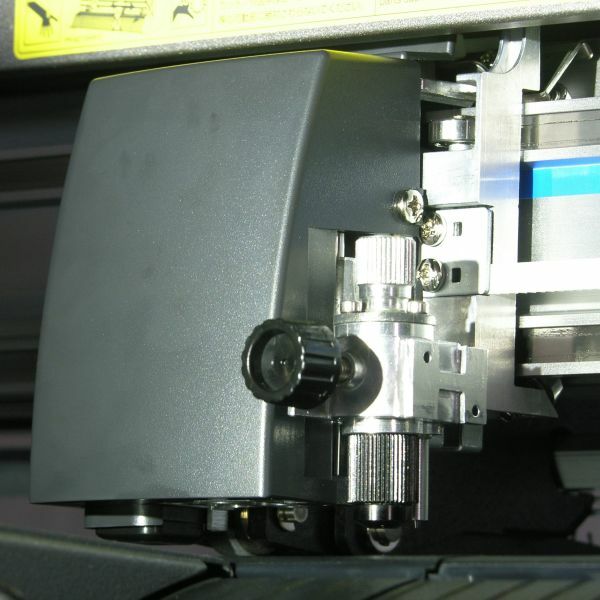 Equipped with precision eye-mark camera technology, the F-Mark die-cutting machine allows for quick reading of registration marks with an accuracy of 0.2mm, thus accommodating for image drift. Perfect sheet alignment is achieved via registration mark reading for each individual sheet, with a camera equipped with F-Mark technology performing the crop mark adjustments in a fraction of a second. Software algorithms compensate for any distortion from the printing process to enable precise cutting with minimal bleed. 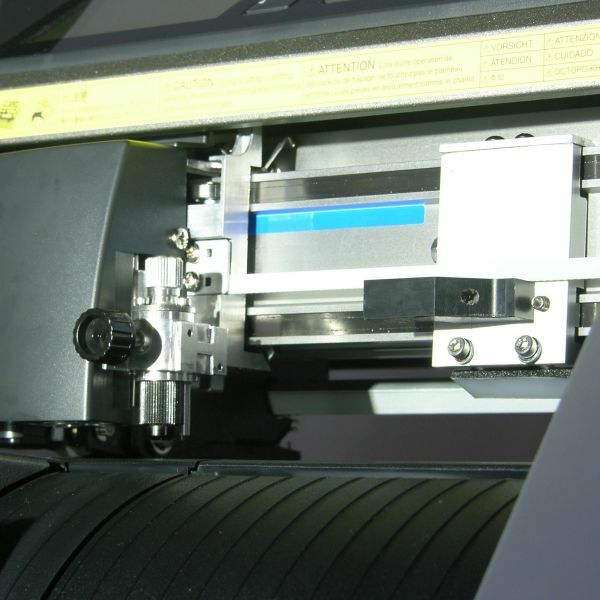 There is an option to specify blade-creased lines or perforated lines during file creation. The cutting parameters set by the software allows the use of crop marks as small as four millimeters, enabling maximisation of the sheet size and minimal material wastage. 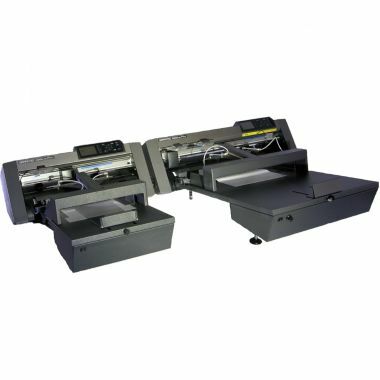 Contingent upon the material being processed and the complexity of the image outline, the average cutting speed is 30-40 seconds for each sheet. The F-Mark+ is run through custom F-Mark+ software that accepts Illustrator and CorelDraw files.